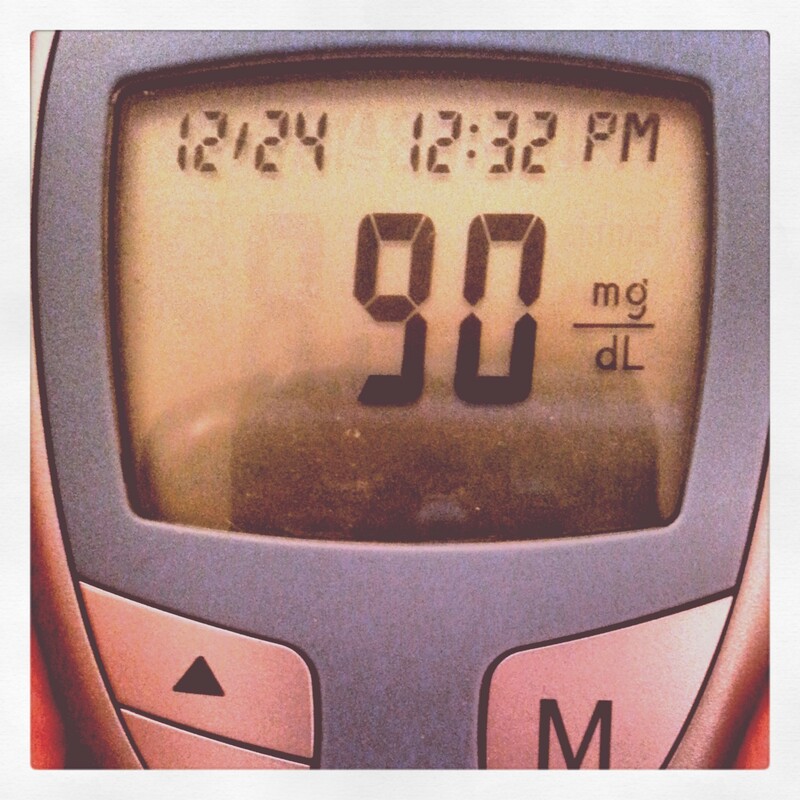 Ignore the date and time, as they are obviously incorrect because I took my glucose this morning after I got up. I recently replaced the batteries and didn’t reset the calendar or clock on my glucometer, durrr. I haven’t had a fasting sugar that low since…ever. At least not that I can recall. Even when I embarked on my last non-surgical major weight loss effort, my fasting sugars were still 100-105, but never below 100. When I was in the hospital two weeks ago for surgery, my fasting the morning of surgery was around 150, and every time after that my glucose was taken it was much higher. That was due in part to the steroid I was given during surgery–my doc even said the tradeoff for no nausea was that my sugars would run high. But under 100 fasting?!?!?!?!? I’m stoked about this! Now I can’t wait to have my labs done so I can see what my a1c will be the next time it’s measured in September (it was last done in June and a1c’s are typically done every 90 days). I’m still on full liquids, and I imagine my fasting readings will change once I am cleared for pureed foods, as I will be adding back in some carbohydrates in the form of soft cooked veggies–zucchini, carrots, tomatoes. We’ll see what effect they have on my glucose. And really, their effect should be minimal compared to what potatoes, rice, bread and the like would do to my sugars. Have I mentioned how much I love this sleeve of mine? This entry was posted in being thankful, NSV's, post-op and tagged beatin' the 'betes, benefits of wls, blood glucose, diabetes, non-scale victory, NSVs, post-op life, sorry for sleeve rocking, things of win and awesome, VSG, WLS. Bookmark the permalink. I’m pretty excited about it! I’m thinking of going to the CVS up the street to have them double check it for me because I’m having a tough time believing it.